I'm kind of surprised I didn't upload one of these postcards sooner ... after all, this is a true Montana legend. People have been telling stories about fur-bearing fish in this part of the world for at least 80 years, and taxidermists have been encouraging the legend for just as long, by creating examples of the species. They're almost always trout, and the local version of the myth has them coming from Iceberg Lake up in Glacier Park. 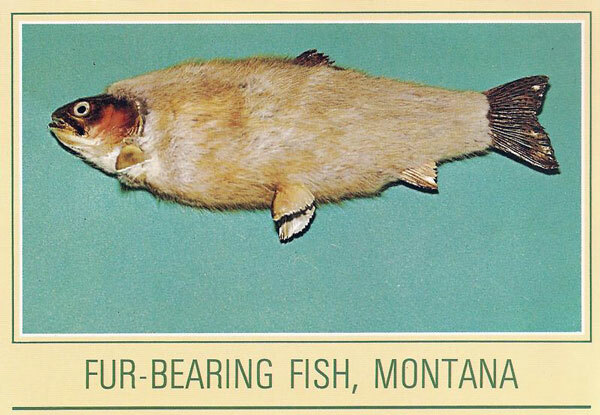 Other states have their own fur-bearing trout stories, too.